How Will AI Reshape Commerce Marketing? As technology continues to rapidly evolve, the next five years will be a transformative period for commerce. The explosion of new channels and the increased focus on customer data, coupled with the rising consumer demands for personalization will require an understanding of data science, machine learning, and artificial intelligence. 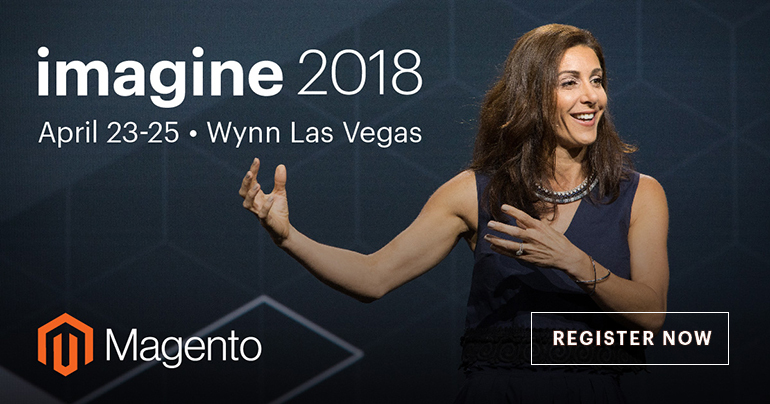 In this Imagine 2017 panel discussion, Sean Brady the President of Americas at Emarsys, Allen Nance the CMO of Emarsys, Ryan Noel the Managing Director of Gorilla Group, and Peter Sheldon the VP of Strategy at Magento Commerce predict how new technologies—including AI and machine learning—are about to revolutionize the marketer's role. Here are five predictions from the industry experts on the next five years of commerce marketing. Channels are getting murkier. As new innovations are made in mobile, wearables, and hands-free devices, channels for customer engagement will evolve. Shopping will become less about channels and more about the environmental experience. Machine learning and AI will be critical in mining data and giving more intellectual feedback on how, when, and where to engage customers. Mobile-only apps have created a frictionless user experience that customers now expect. Data-oriented features and functionality will continue to create improved customer experiences on mobile. But AI will potentially personalize the mobile shopping experience by acutely tailoring product viewing for you–making the mobile experience optimal for a quick purchase. The resource side of commerce is not growing with the pace of technology. AI will never fully replace marketers (we hope) because it lacks empathy and emotional intelligence. However, it does add another tool to the toolbox. AI will likely help under-resourced teams by automating some merchandising functions. The technology could potentially create discount offers, loyalty incentives, and automate A/B testing. Ultimately, the merchandiser could assume the role of moderator and leave the heavy lifting to AI.